I am not sure if this is my favorite treat because I eat it right after I finish training and am completely ravenous or because it is just plain fabulous. It’s probably a bit of both. For most competitors, a protein shake is the go to meal after a hard workout. Not me. I am a die hard foodie and LOVE to eat so I came up with this fabulous balance of proteins, carbs, and a bit of fat for my post workout meal. One thing about competition prep is that the food can get pretty bland if you let it. In an effort to not eat boring, tasteless things I get creative in the kitchen. Sometimes it is really bad like the Pumpkin Pots and other times it is fabulous like these Key Lime Apples. 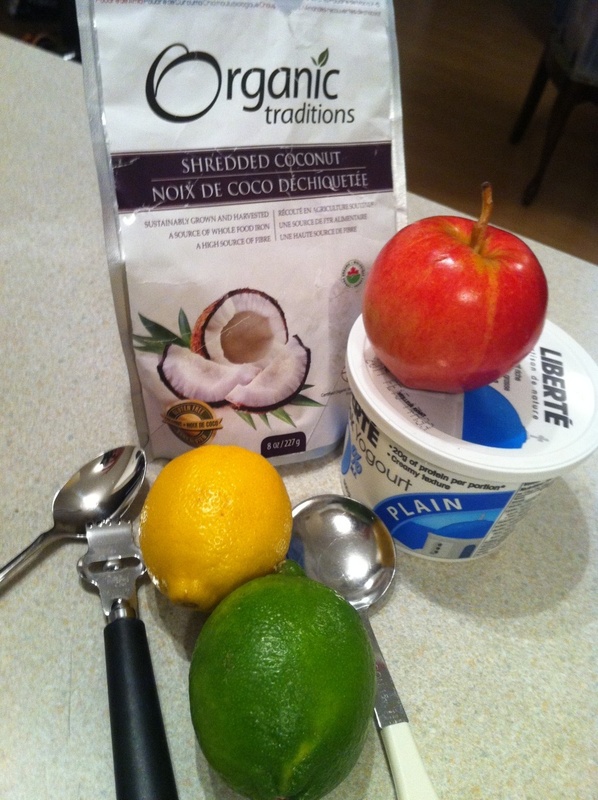 5 things that blend together to make something VERY tasty! 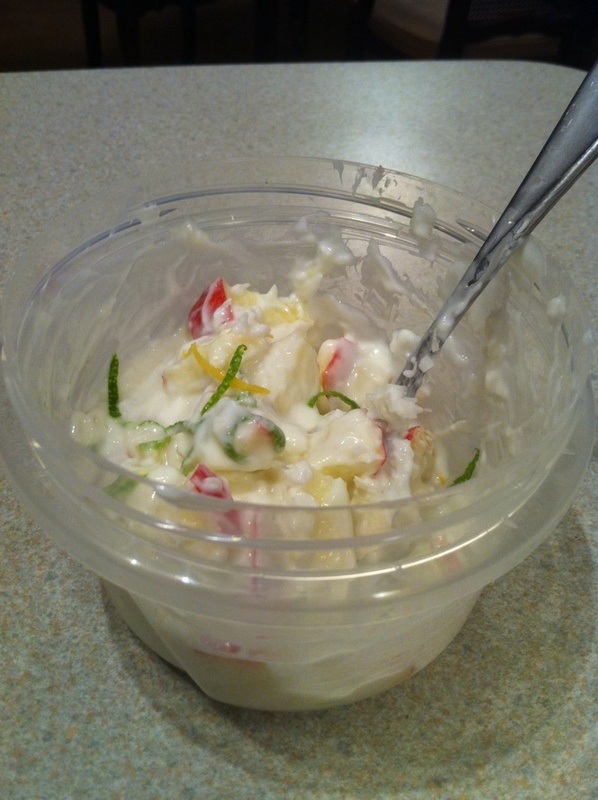 Then zest and juice both the lime and lemon and add it to the container of yogurt; mix well. Note: The lemons and limes have seeds...so be prepared to have to fish them out of the yogurt if you are lazy like me and just juice directly into the yogurt. 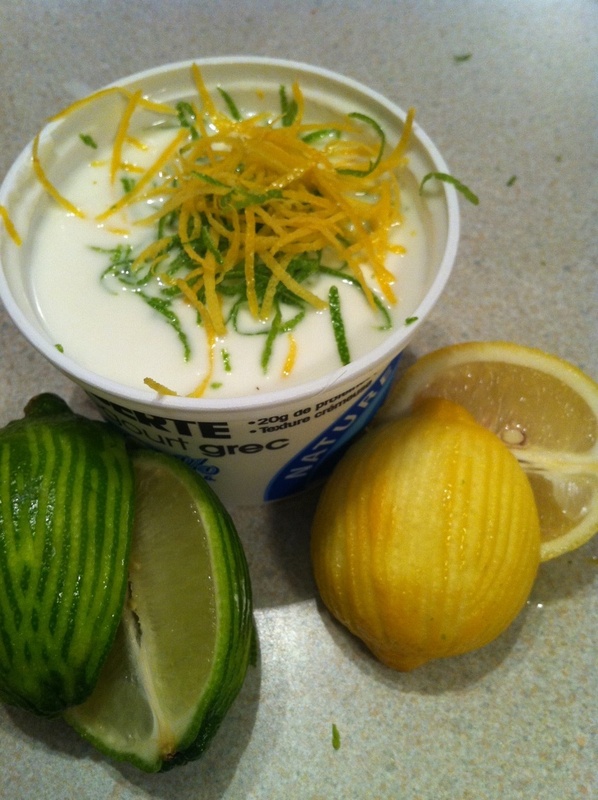 You now have lemon-lime greek yogurt ! It is rather tasty to just eat on its own; don’t say I didn’t warn you! The smell is absolutely divine; refreshing and crisp! Must. Wait. To. Eat. Until. Tomorrow. On a high carb day I have been known to add in some blackberries and well! Mmm! When I am eeking out the last few reps of a hard set, I remember that I get to eat the Key Lime Apples in just a few minutes and I finish strong. I may possibly be a total creature of habit, but it can’t be denied that every morning at 8:30 they are a a glorious treat. Sounds fabulous! Will have to try sometime. I have discovered a divine apple that is so good I actually crave them. Honeycrisp apples are to die for. Everyone else must think so because they’re much more expensive than others, but to me they’re well worth it. Wow, I will have to keep my eyes peeled! Sounds delicious! Do you juice the whole lemon and lime into the yogurt?